Nicolai – hear, hear. As you note the conference itself was no different than any other AOM and the theme was rather odious, given that most management professors attending the conference are coddled by the capitalist system. 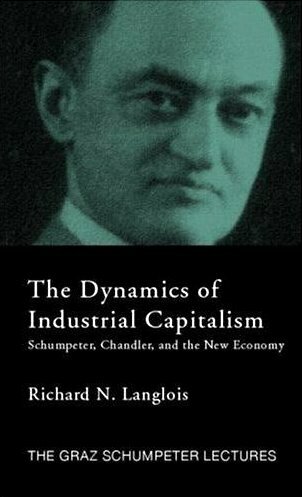 I always amused by the leftist faculty that equate capitalism with monopoly, precisely what classical liberal economists have always railed AGAINST. Ironically, it is the leftist’ socialist utopia that is actually characterized by monopolies in all aspects of life. You are completely right! The AoM this year was another AoM where we were able to find your peers (if you were in the same track as you), good discussions, good food, and tones of mosquitoes. One day, I really felt overwhelmed because I wanted to attend several sessions that would need star treck devices for me to get there on time. This is the problem of not having focus on one theme! But overall, it was a good one! Let´s hope the next one in Phillie will be even better! Just didn´t get the theme: words! True, and agree on criticism of the blogs you reference to. We are very spoiled! I would say though that 1) Lack of access to food cost me half an hour pr. day, which equals quite a few presentations. Think people have just been confused about how such a firm like Disney can be so incompetent in that respect – I certainly am. 2) AOMs in such a stay has a (very) lower attendance rate, and I am not sure we should argue that we only want people that come regardless of location. But sure, I’d go to again next year if it was in the same location. My sentiments exactly Nicolai! Yes, it was awkward if you needed to get between two venues that weren’t co-located, but that happens fairly often at our conferences, and it didn’t merit a condemnation of Disney World. Disney World serves its chosen purpose exceptionally well, and though it is not optimized for our type of conference, I for one, appreciated the opportunity to bring my kids along and make a holiday of it. With all due respect, I couldn’t find enough good coffee, good beer, and seating when I needed. But I did get excellent discourse. As to the theme, I offer the observation that, like every other year, less than 3% of the attendees pay any attention to it. Conference themes, like presidential addresses, tend to be all about social themes and “things we should be doing”. This is a symptom of the self-consciousness of the Academy of Management with respect to how “the world” views a professional society that is populated by running dogs of the capitalist machine. Another symptom is the ease with which (if you will permit me…) radicalized and post-modernist polemics are accepted into AoM publications. I would argue the same for papers festooned with classical allusions and poorly understood philosophical language — easier to get accepted than what the running dogs are growling about. I almost prefer a cliché like “Capitalism in Question” to next year’s banality, “The Power of Words” (http://division.aom.org/hcm/index.php/component/content/article/85-aom-2014-theme). Please, can’t we just get rid of themes altogether? @Peter, here is your big chance! Prepare a paper submission under an assumed name on the power of spoken vulgarity in inter-generational, cross-gender, and cross-cultural workplace communication and submit as an all-academy theme piece. Fabricate everything except the delicious verbiage, which can be lifted from contemporary literature. Pepper the theory section with references to your “favorite” pomo jargon. If accepted, drinks on me for the O&M team at Village Whiskey in Philly. @Peter, I can’t believe it! At last! It may be banality to those who worship numbers, but it is right up my alley, given my forthcoming book on management as a rhetorical practice that embraces the business model as an idiosyncratic language. @Nicolai, good comments. Given I pay for myself these days I think it was wise for me to skip this year’s AoM. But I intend to be in Philadelphia. Perhaps you could be tempted to support my proposing a theory of the managed firm (TMF) as a demonstration of the power of words? @Randy, perhaps Alan Sokal will coauthor! @JC, what’s next, “The Power of Breathing Oxygen”? What’s next – well, more talk of course. That’s what conferences are for, not simply meeting and shaking hands. Talk can produce clarification, disseminate important ideas, and so on. 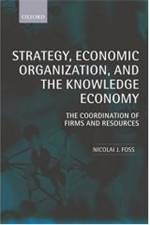 Perhaps the answer to Coase’s question – why are there firms? – lies in understanding them as contexts of productive talk, which requires words. Economists’ talk seems unable to see them this way. But there are other words. Maybe it is time for their (re)appearance? Oxygen – of course, and welcome at any (and all) time. But a public good that cannot be source of profit? JC: “Perhaps the answer to Coase’s question – why are there firms? – lies in understanding them as contexts of productive talk, which requires words. Right, isn’t modern information economics, especially mechanism design, essentially about language? Of course I was guilty of hideous over-generalising with my comment on ‘economists’ talk’ – economists are as varied as any other kind of being. Many of you (?) have really worked hard to cross back from the aridity of rigorous formulae to the talk that real people use to negotiate their way through the world. Applause to all. But I fear their message has not been adequately promulgated and institutionalized. Perhaps next year’s AoM will be a good step towards helping our discipline recapture some relevance lost? Design presupposes language that is somewhat general. Human action is necessarily in the particular, guided perhaps by the generalities of language but never fully encompassed. So there is a tradeoff between using language that can inform many designs and that which deals with the unique. What lies outside language is not knowable in the same way as that which has been brought into language. Tacit knowledge and so on is known as skilled practice. Beyond what can be explicated and what can be demonstrated as practice lies the void. In which case the firm cannot ever be completely known even when its inventory of demonstrable skills (organizational routines perhaps) is summed with its explicated design and operating procedures. But in this unknown-ness lies the value-creating magic that Knight (among others) sensed, no? Shifting our attention from the theory and design languages that seem to bear on the firm towards its particular jargon and language brings us closer to the magic, but like all the best tricks, it cannot ever be fully unveiled. All of which reminds me of the occasion of Zvi’s comment over a decade ago – interesting, JC, but it’s not economics! My main problem with such a title is that they use “capitalism” with a big “C.” Political scientists, political economists, sociologists etc., will talk about the many different variants of capitalism (“varieties of capitalism”) until they get red in the face, because they have a valid point! I think that’s why I generally don’t use the word “capitalism,” but instead “East Asian model” or “Anglo liberal model” or something like that. Economies (and associated institutions) are much too varied and heterogenous (this is what makes political economy interesting!) to be so lazily labeled under such a term. I have a lot of problems with the American economic model as it exists right now, but I’m not under any delusions about the alternatives or the trade-offs they each face. Orwell’s point about how certain words and phrases cause us to turn our brains off, to the effect that letters, essays, etc. start to write themselves in a torrent of cliche, is quite apt.